A disabled-led network set up by the minister for disabled people in 2012 to offer the government advice on the implementation of its disability policies has cut the areas it focuses on to just one “strategic theme”. 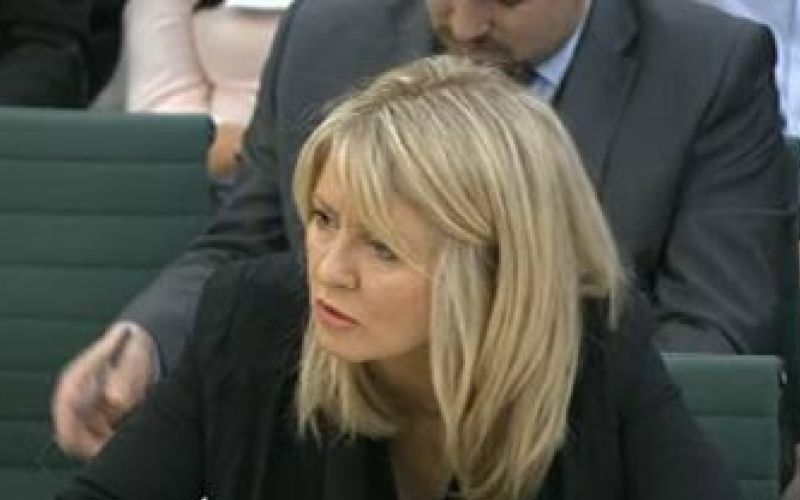 Esther McVey, then the minister for disabled people, promised when it was launched that the Disability Action Alliance (DAA) would “put disabled people at the heart of creating inclusive local communities and changing attitudes to disability”. The precise role of the alliance was never laid out by McVey (pictured) but it appeared originally to be aimed at advising the government on implementation of policy at local level, rather than advising on developing policy. It was tasked with creating partnerships between disabled people’s organisations (DPOs), government departments and other public, private and third society organisations. But DAA is no longer a government-led initiative, although it is still government-sponsored and has a representative of its Office for Disability Issues (ODI) on the steering group, and it has now announced that it will be focusing on just one strategic theme: disabled people’s leadership in public life, including volunteering and public appointments. Work in areas including employment, commissioning, digital inclusion and financial advice has either been completed or abandoned, while projects on “raising disability awareness amongst children”, sport and physical activity will “continue under their own steam”, DAA has said. The announcement comes four months after the alliance announced it was developing a long-term strategy. The current minister for disabled people, Justin Tomlinson, said in February that it was “an honour” to watch the alliance “grow and evolve”, but in the same month his Office for Disability Issues announced that it would no longer provide four part-time members of staff to run the DAA secretariat. Instead, it handed a one-year grant of £69,500 to the user-led charity Disability Rights UK (DR UK) to run the network. The decision to distance itself from DAA raised questions about the government’s commitment to its Fulfilling Potential disability strategy, and even about ODI’s continuing existence. The alliance has been led from the start by DR UK, and many user-led organisations signed up, although many others refused to join, partly because of a lack of clarity about what its role actually was. DR UK said in April 2013 that the alliance was a chance for DPOs to “get their views heard and feed in local opinion”, and that it would allow disabled people to work with ODI on “co-producing areas of work”. But DAA is now focusing on enabling its members to “forge new collaborations and partnerships” in areas that they choose themselves, with just the one project being led centrally by the steering group. But Mel Close, chief executive of Disability Equality (NW), a DPO and DAA member which this week was celebrating its 20th anniversary, said it “felt like a bad move” and “a definite cop-out” to focus on just one theme in the light of the many serious challenges facing disabled people. She added: “DAA really needs to be as flexible to the needs of disabled people as DPOs are – we have strategies, but respond to need, usually arising from the political and economic climate around us. Sally Witcher, chief executive of Inclusion Scotland, a former member of DAA, said organisations always had to question whether it was worth engaging with a government that “doesn’t really want to hear anything that doesn’t support what it wants to do”. She said: “The challenge clearly is that we have a government that has a very particular agenda around cuts to public services and it’s also the case that disabled people have been disproportionately adversely affected by the whole austerity agenda. But she suggested that DAA had chosen a strategic theme where there was “actually a bit of a chance of making some positive progress”. Stephen Brookes, a member of the DAA steering group, said the announcement on “concentrating solely on just one strategic theme” failed to “truly reflect what we have done so far and where certain projects are now self-driven in the public domain with their own expanding impetus without need to keep going back to the steering group for guidance”. He said that two projects he had been involved in, around disability equality training of public transport staff, and volunteering and involvement of disabled people in public life, would not have been successful “without the full cooperation, signposting and support of other members of the DAA”. Liz Sayce, chief executive of DR UK and DAA’s chair, said that following a review of its strategy and a consultation with its members, the steering group had decided that running a lot of projects centrally was “not the most effective way forward”. She said DAA’s members wanted the steering group to “enable them to forge collaborations on whichever topics they chose, rather than the steering group determining topics”. And she said that the steering group had decided that focusing on leadership would “add value to all the other collaborative work going on”, such as in the sports sector, which she said “would be hugely helped by enabling more disabled people to take up leadership roles in sports bodies”. She said that “projects that were being led from the centre are continuing – through the groups of Alliance members that have been working together”. On other topics, she said, the groups involved had either completed their work – for example, a project on financial advice with the Money Advice Service, and a piece of work on inclusive communities – or they had not yet started. A Department for Work and Pensions spokesman said DAA was “a crucial point of engagement with disabled people in public life”, and added: “The Office for Disability Issues is an active member of the DAA steering group and has been heavily involved in supporting the evolution of the new long-term DAA strategy. “Following a period of consultation, this strategy has identified the need to focus on a central theme, and the theme chosen from a selection was ‘Disabled People’s Leadership in Public Life’. 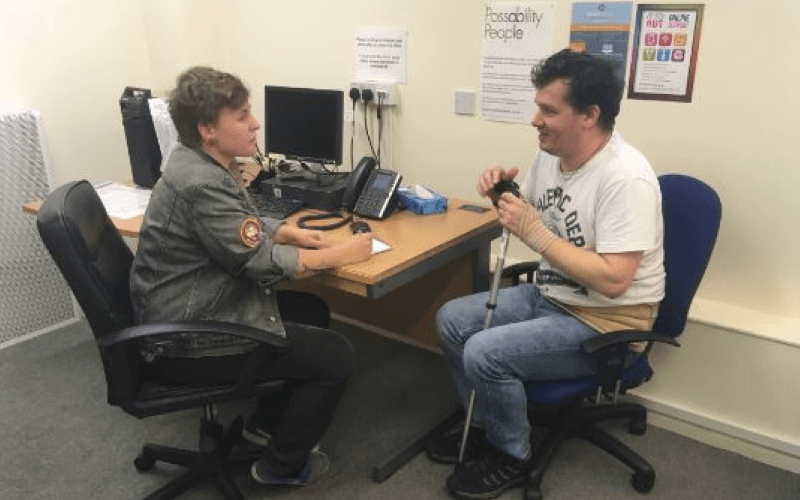 “This was seen as not only an important area of work in terms of positively empowering disabled people, but also a theme which builds on the great work of DAA projects such as volunteering, work and public appointments. He said the government’s Fulfilling Potential disability strategy was being reviewed this year, while the Fulfilling Potential Forum – whose 40-plus members are DPOs, disability charities and representatives of DPOs – continued to meet “regularly”, with the last meeting on 22 March and the next due to take place “towards the end of this year”.